This tutorial is going to cover how to backup the contents of a DvD, HD-DvD or Blu-Ray DvD with MakeMKV in a format that is readable by your computer. A file-type container. If you image each of the files on your computer as being a collection of information, then the container is the bucket that the information sits in. The bucket has a handy label that tells your Operating System what’s inside of it, that way your Operating System doesn’t have to open the file to find out what the file is all about. This tutorial is provided “as is” and is meant to impart the working practises and methods that can be used to achieve a certain goal using modern computing equipment. The information is supplied for educational purposes, and what the reader chooses to do with that information is in no way connected to the author of this post. This tutorial does not contain links to web services where copyrighted material can be obtained. This tutorial does contain the steps required to backup the contents of a video disc (in either DvD, HD-DvD or Blu-Ray format) to a local drive using the named software (“MakeMKV”). The author assumes that the reader is able to navigate an operating system, install software, read and understand English and follow instructions. That is all. No advanced degrees in Computer Science should be needed. Typing “DvD, HD-DvD or Blu-Ray” is a little tiresome, so from this point onward “video disc” will refer to whatever disc format the reader has chosen. Also, a DvD will be used for this example for the simple reason that it was the closest thing to hand when it was written, but the steps are exactly the same for all three formats that MakeMKV supports. 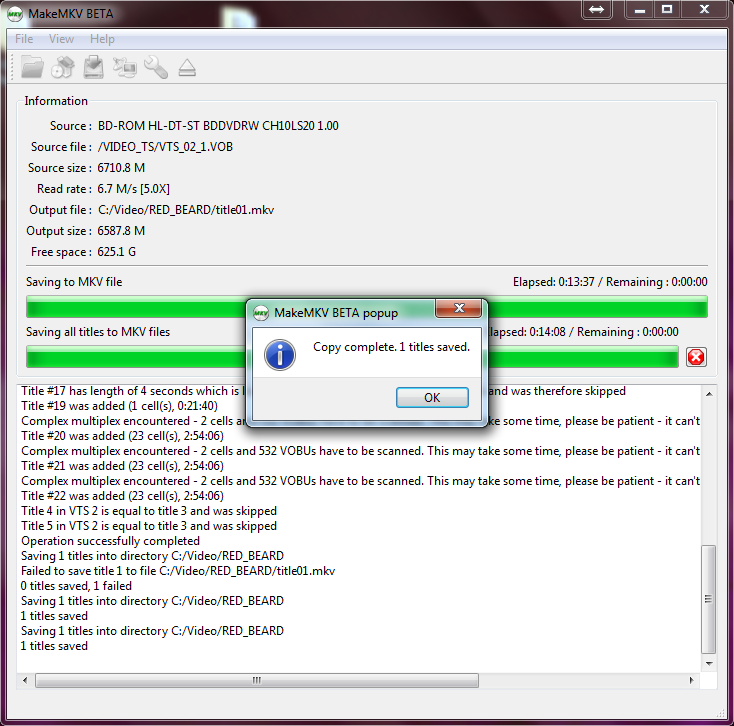 Once the video disc has been opened with MakeMKV – this happens automatically when a new disc is inserted – the “<Disc> to Hard drive” button will be enabled. Clicking on this button will start the disc parsing process. During this step, MakeMKV is reading the contents of the supplied disc. All that it is doing, however, is getting information on the titles (or video streams) on the disc. Once MakeMKV has read and parsed the contents of the video disc, it will display all of the titles and ask you which one(s) you would like it to backup. If you are backing up a film (the example disc that I am using is the Japanese film 赤ひげ or “Red beard”), then the title you are looking for is the longest one, usually. It’s worth checking that the running time of the title matches the running time on the box for the video disc (or a quick Google search will tell you. You can also load the disc with a media playback program – I prefer to use VLC player – and check which title is played when you start the film). If you are backing up a TV show (or want all of the special features that come with a film), then select all of the check boxes. In my example, I am only interested in backing up the film, so I checked the box next to the title that contains only the film. Note: Some newer DvD films are being released with, intentionally, broken ifo files. These broken ifo files fool programs like MakeMKV to only backing up part of a title in a loop. It’s worth double checking that the back up completed successfully (i.e. watching each file back) to ensure a complete backup. Once you are ready to backup the selected titles, click on the “Save selected titles” button (found on the upper-right, under “MakeMKV”). What MakeMKV is doing right now, is it’s taking the video and audio streams that you selected and placing them (as is) into an MKV file for each of the titles that you selected. This means that there is absolutely no transcoding done to these streams, meaning that the files you get out of MakeMKV are the files that are on the disc. No lossy conversions here, no sir. … well, that’s not completely true. The DRM (macro-vision for DvD, and BD+ for Blu-Ray) is removed during the backup process, too. This means that the backed up files can be slightly smaller than the originals, but this is due entirely to the removal of the DRM system. Once the backup is complete, you can remove the video disc and … well, do what you want with it. As with the note above, it’s worth checking that each of the backed up titles matches those on the video disc – I’d recommend watching them though to the end to make sure. If you left the backup folder as default, then the titles should be located within a “Video/<DiscName>” directory. 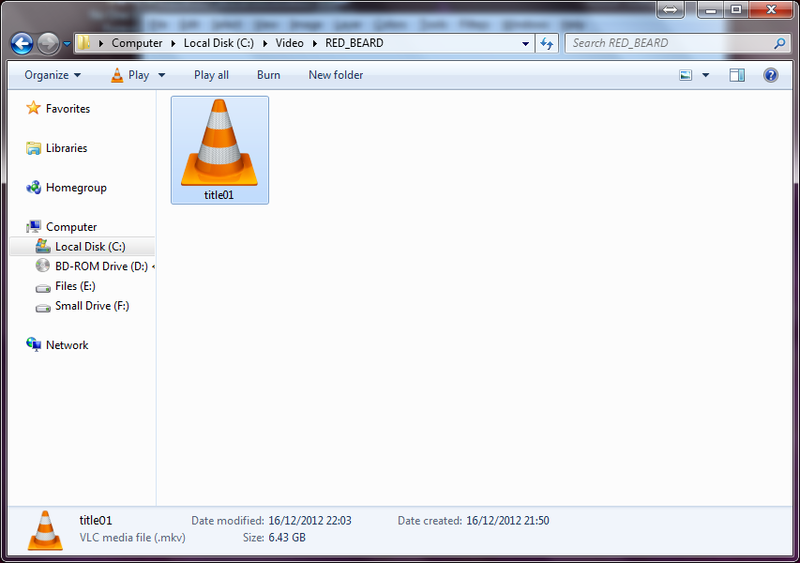 On my Windows machine, this defaulted to “C:/Video/<DiscName>” (as you can see in the screenshot above). Linux and Mac versions should default to “/Home/Video/<DiscName>”, but I’m not 100% sure on that. That’s it. 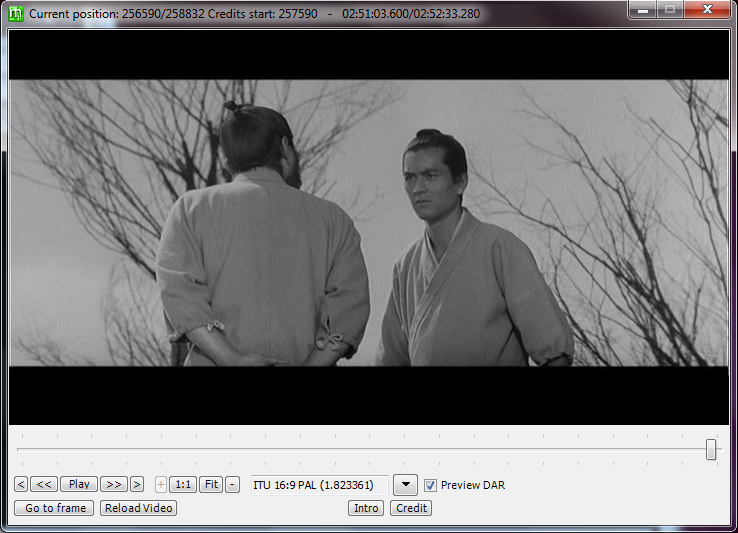 MakeMKV is, by far the best software I’ve found that will make like-for-like backups of DvD, HD-DvD or Blu-Ray discs. The only single draw back is that you have to buy a licence after 30 days. But that’s not so expensive ($50) considering what you get – essentially THREE separate ripping programs in one. I bought a licence after a single use of the software, but I would recommend using it for a few days/weeks, see if you like it first, then buy a licence if you want to keep using it.